SCVHistory.com | Reminiscences | Jeff Hosford: Traveling Through Time on the Saugus Local. Life's Treats ... And Its Tricks. Traveling Through Time on the Saugus Local. When I was almost 10, we moved from the city to a house in the country, which would open a whole new world to me. Canyon Country, California, as it was known then, was a small town where the major intersections were still protected only by a stop sign, and the local liquor store sold ammo from the glass display case beneath the register, and no one thought anything of it. The place was surrounded by sagebrush and grass-covered, rolling hills, punctuated by large oaks and side canyons and bottomlands that were shaded by stately old cottonwood trees. 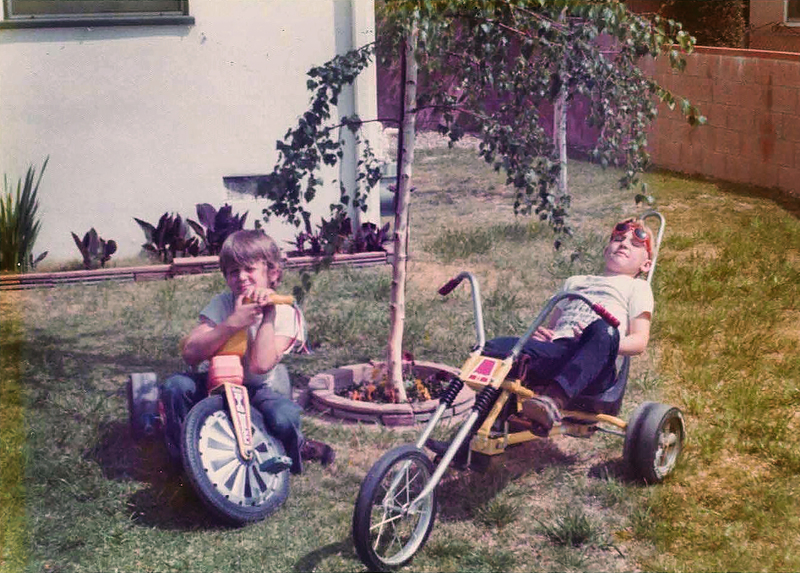 My mother used to have a rule that after school, we could come in the house to get a snack, but then we weren't allowed back in the house until dinnertime — a rule which we, my friends and I, were only too happy to oblige. All we really wanted to do was spill out into the hills in search of adventure. Whether it was climbing to the top of highest peak, building a raft to float across a pond or digging for some perceived buried treasure, many times we'd find ourselves so far out in the hills that dinner was missed, and I'd lie in bed that night, my empty stomach growling, perhaps grounded, but our adventures were always worth it. If my friends were not around, my explorations often turned to rail-fanning. At the time, the country was in a recession, and the Southern Pacific's Saugus line was all but abandoned, seeing only one or two trains per day, and those often passed at night. I didn't let that deter me, though. I walked mile after mile of right-of-way, exploring. Around every bend was another mystery, something new to be discovered, another signal, another motorcar set-off, a block indicator, a tool shed, a tunnel. I talked to the signalmen. I talked to the gandy dancers. 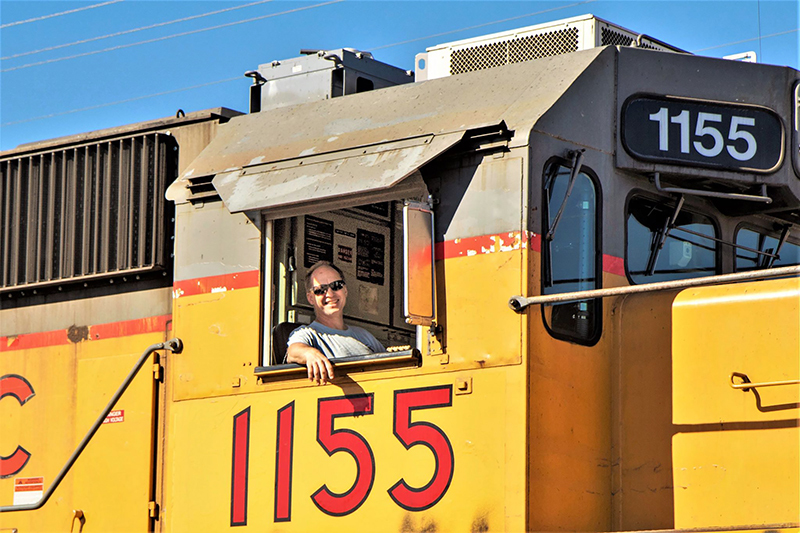 I got to a ride on a work train, and several times I would be invited to ride the helpers down to Sylmar and back. If my parents made a shopping trip to nearby Saugus, I'd run down to the depot to see what was going on there, and maybe I'd see a Piru turn. Soon, I discovered the Saugus local. In the summer, I could ride my bicycle over to Newhall or Saugus and watch them switch. I decided I wanted to be the engineer on that job someday. 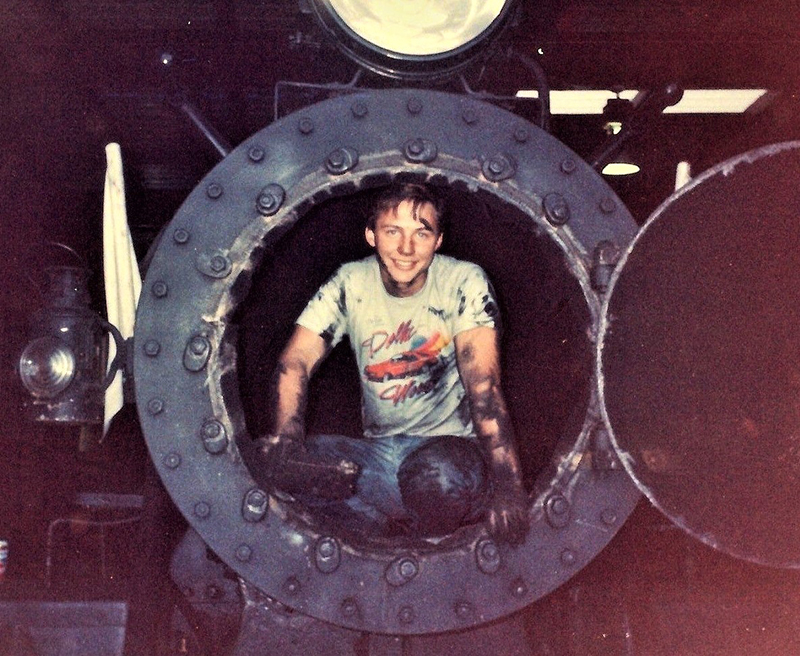 The author works on a steam locomotive at Short Line Enter­prises, circa 1987. Click images to enlarge. When I got out of high school, I tried to hire on with the Southern Pacific, but the recession lingered on, and the Southern Pacific was not hiring. I worked several odd jobs before getting on with the local short line, which was fine, but I really wanted to be working that Saugus local. I worked at the short line for a few years before one of my friends at the S.P. told me the Union Pacific was hiring. So, I went downtown and applied at the U.P. and got hired. I'd been at the U.P for several years when the S.P. finally started hiring. Although my job at the U.P. was good, I really wanted to work that Saugus local. So, I went down to the S.P. and applied again, but again I didn't get on. You see, the railroads had a handshake agreement that they wouldn't "steal" each other's employees. 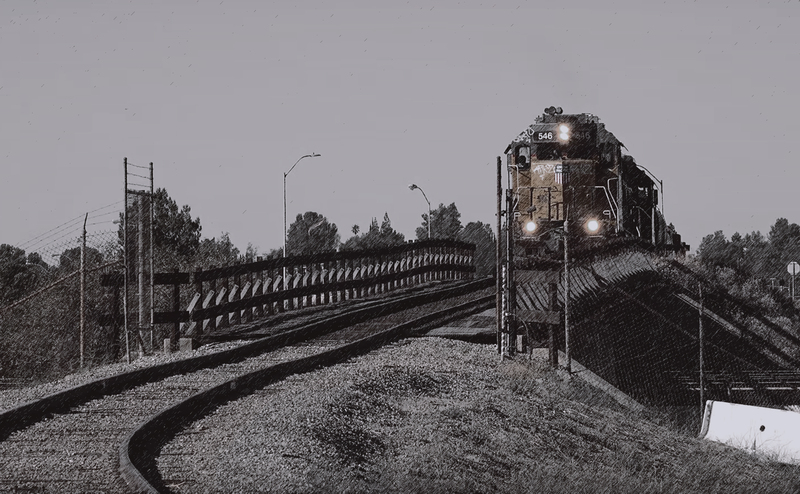 Eventually, the merger of the Southern Pacific and Union Pacific came, along with the merging of our seniority rosters. Again, I thought of that Saugus local, but as you can imagine, the seniority on that job was sky-high, so it would still have to wait. 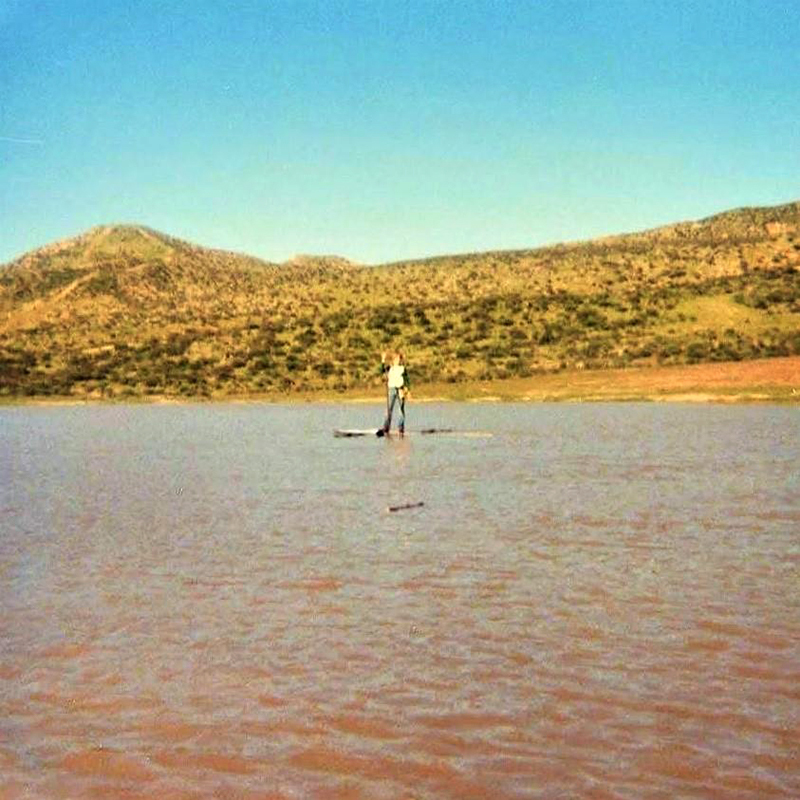 Floating across a seasonal pond in Plum Canyon on a home-made raft, circa 1980. It has now been 40 years since I last chased the Saugus local on my bicycle, and much has come to pass. For the past few months, I've had the privilege of being the regular assigned engineer on that job, and for the first time in many years, I enjoy going to work. The job has been an emotional journey for me. Each day, we pass the former site of General Motors' Van Nuys assembly plant where my father and his brother spent 34 years of their lives; and we pass the site of Lockheed's Vega plant where my grandfather worked until his passing. Each day, we pass my parents' first house where I spent my early childhood, and we pass the house were my parents would divorce, and where I became a man. And we pass the cemetery were my brother was laid to rest. At the controls of SPRR No. 1629 at Heritage Junction. There is much to mull over. Mostly, though, I recount the mile after mile of track that I walked. I note which side canyons and dells I've explored with friends long lost. And I note those which I never explored, and I wonder why not. Switching at Saugus, the limbs of the large cottonwoods brush along the side of the engine. I reach out and touch their leaves as if greeting an old friend. Inconsequential landmarks which went unnoticed as a kid now seem to carry great importance. 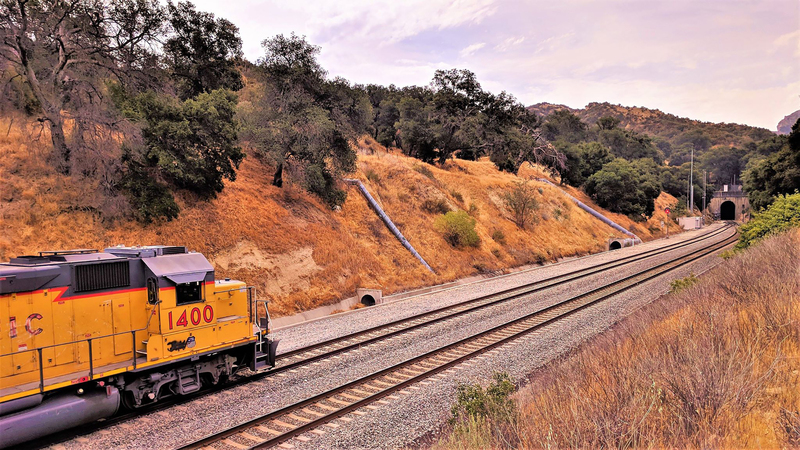 Returning from Humphreys — Canyon Country — the engine leans into the big curve, wrapping around the hill at Saugus. I stretch far out of my window, taking survey of the metropolis attempting to masquerade as my boyhood town. I don't recognize the place anymore. 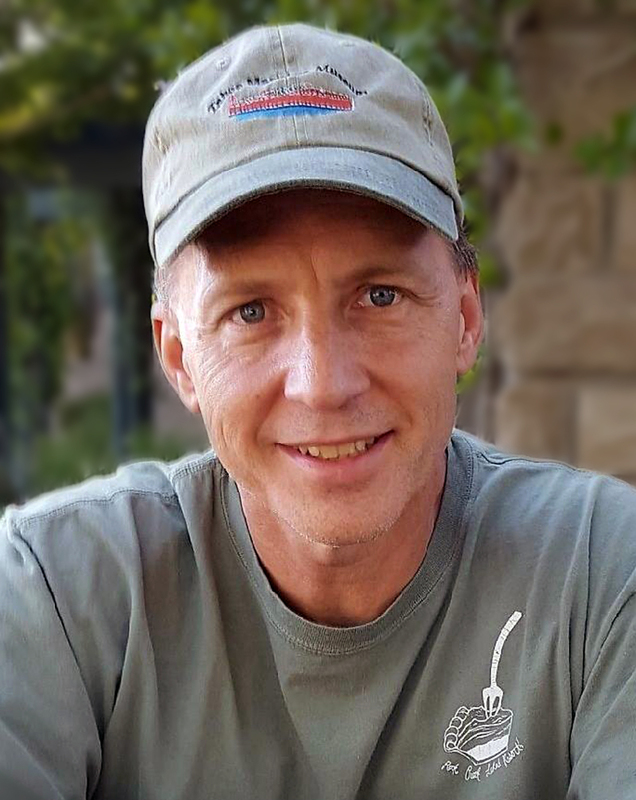 Jeff Hosford grew up in Canyon Country's Skyblue neighborhood and attended Canyon High School. Afterward he was a carman, boilermaker, locomotive engineer and fireman for Short Line Enterprises (better known today as the Fillmore & Western Railway) until 1988 when he hired on with the Union Pacific Railroad. 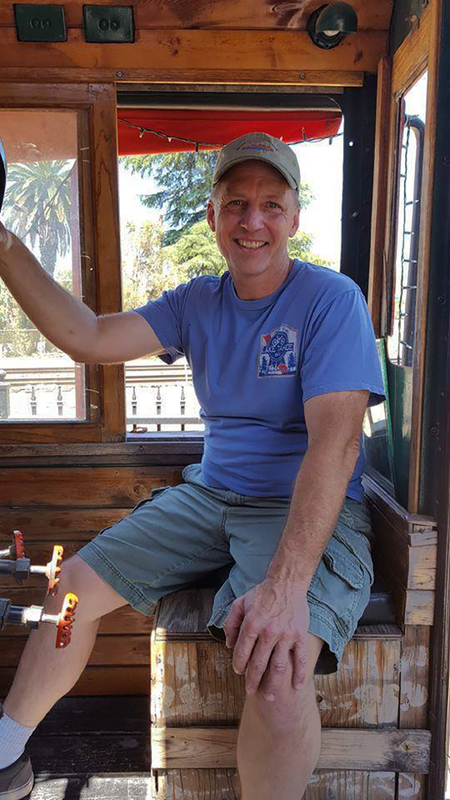 In his spare time he restores antique railroad and farm machinery at his home in Simi Valley. The Saugus local waits its turn to pass through the San Fernando Tunnel on the Newhall side. The author at work as engineer on the Saugus local. Finally.